I am sure you are well aware that I am a big fan of a local chain of salons in Massachusetts... good ol' MiniLuxe, which has seven locations for us Boston gals to get our nails did as well as get other various splendid services that they offer. The reason I am writing to you today? 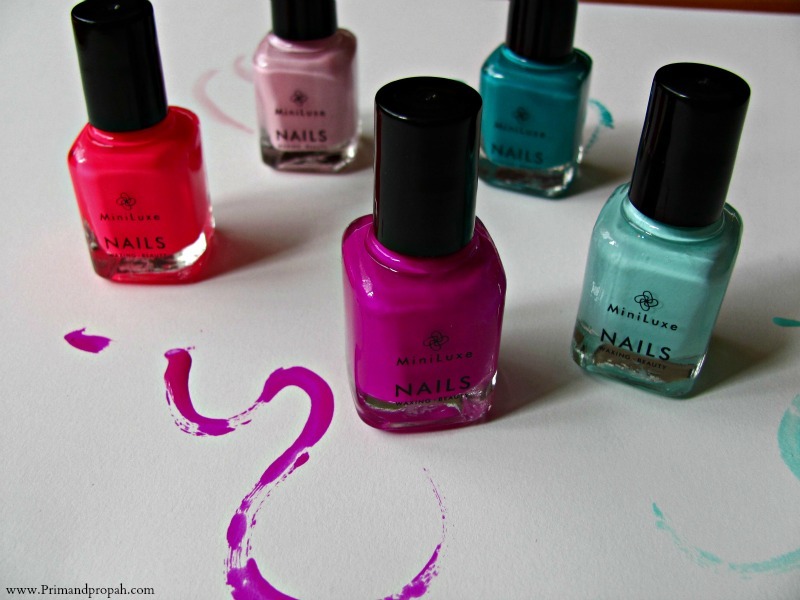 Well, it's to introduce the fabulous Spring colors that MiniLuxe offers at their salons... I am slightly enamored with these lovely little shades and I think you will be too, once you take a gander. 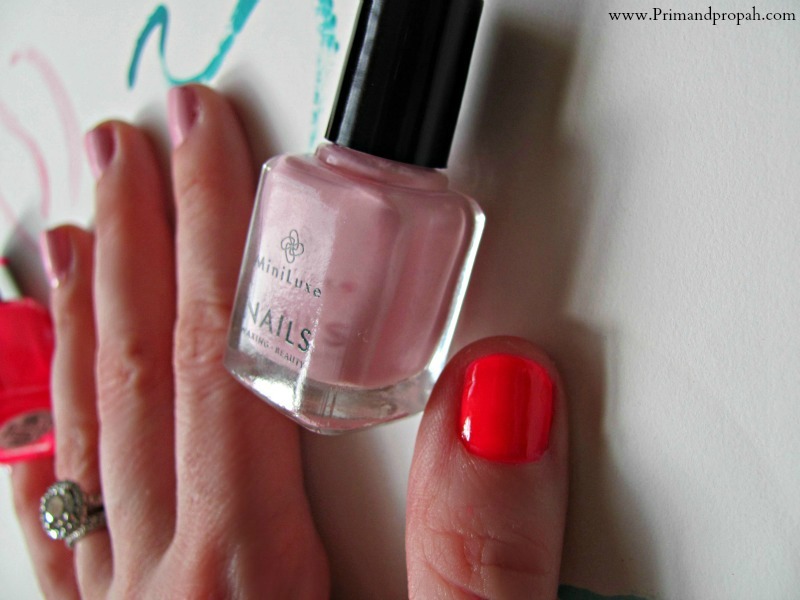 I am passionate about polish, much to my husband's dismay but I just can't stay away! While I love doing my own manis (not pedis so much), I think I will be making an appointment in the near future to be pampered by a professional because they most certainly do a fantastic job. 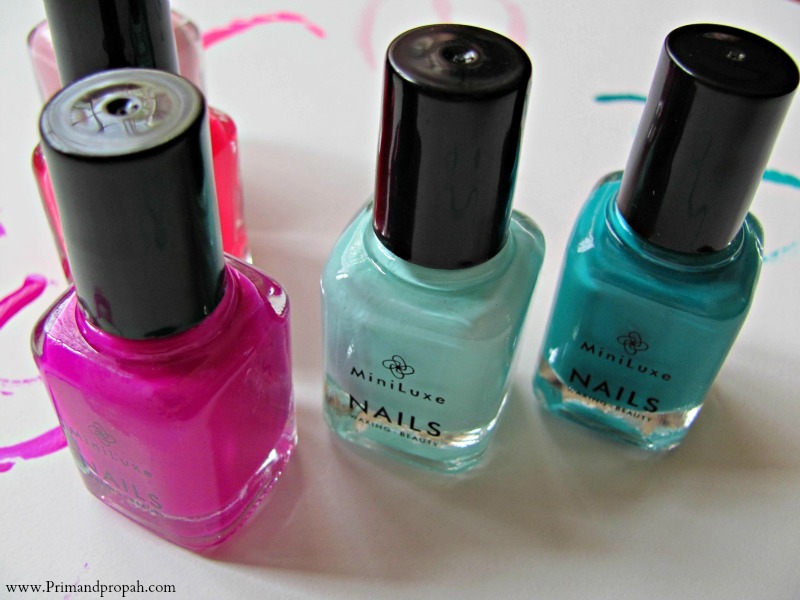 What do you think of MiniLuxe's Spring shades? Have you visited a MiniLuxe location? Sharing is caring! Make sure you like MiniLuxe on Facebook and Follow MiniLuxe on Twitter! *MiniLuxe provided me with the nail polish to try and let you all know what I think. As always, my opinions are 100% my own. The turquoise color is so gorgeous. Oh pampering sounds like fun! I love the colours! I know, the colors are so vibrant for sure! Pampering is ALWAYS fun haha!